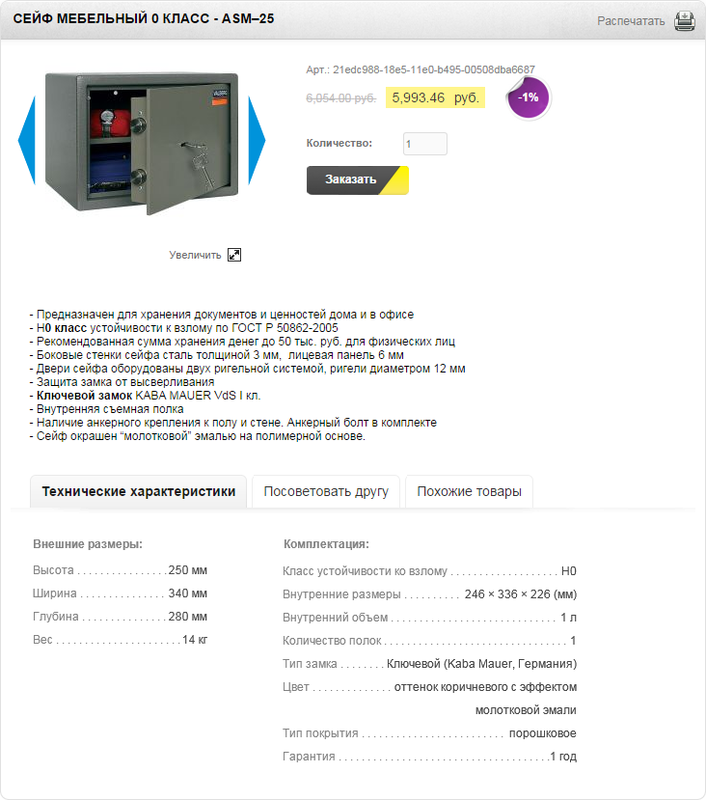 The Russian company Safe-DV, which specializes in safes, metal shelving, furniture, carts, and other equipment for warehouses, decided to go online in 2012. We helped them create a solid and respectable online store. We created an original design for this project, which makes it easy for all of the creators to use. 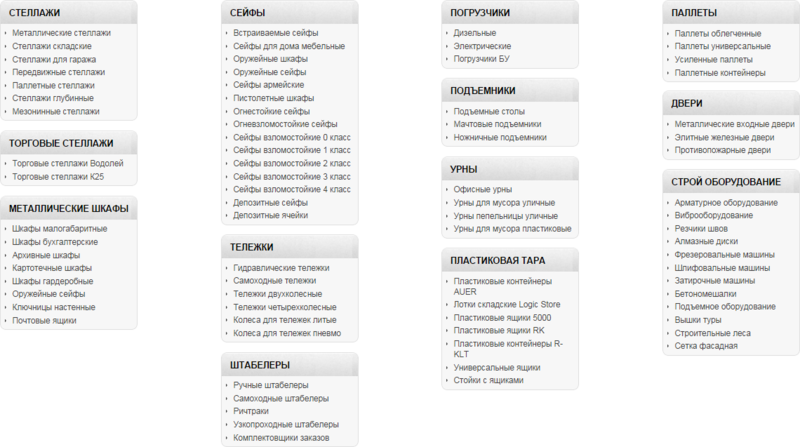 The menu is displayed with sub-categories on the main page. 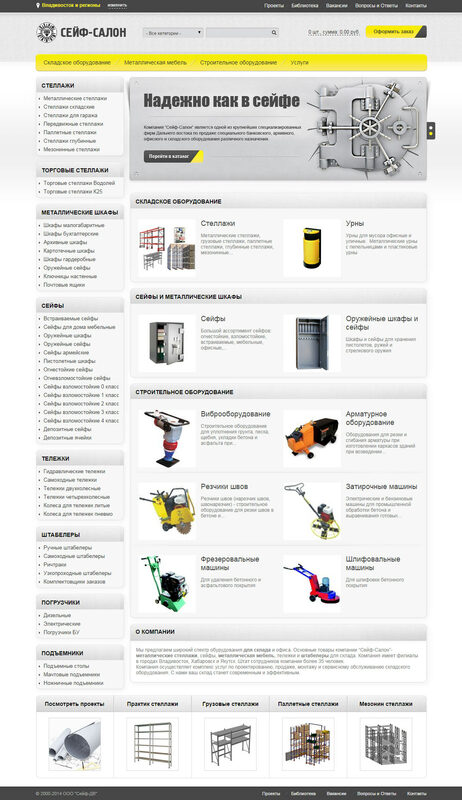 It makes the search for necessary equipment easier for the customers. 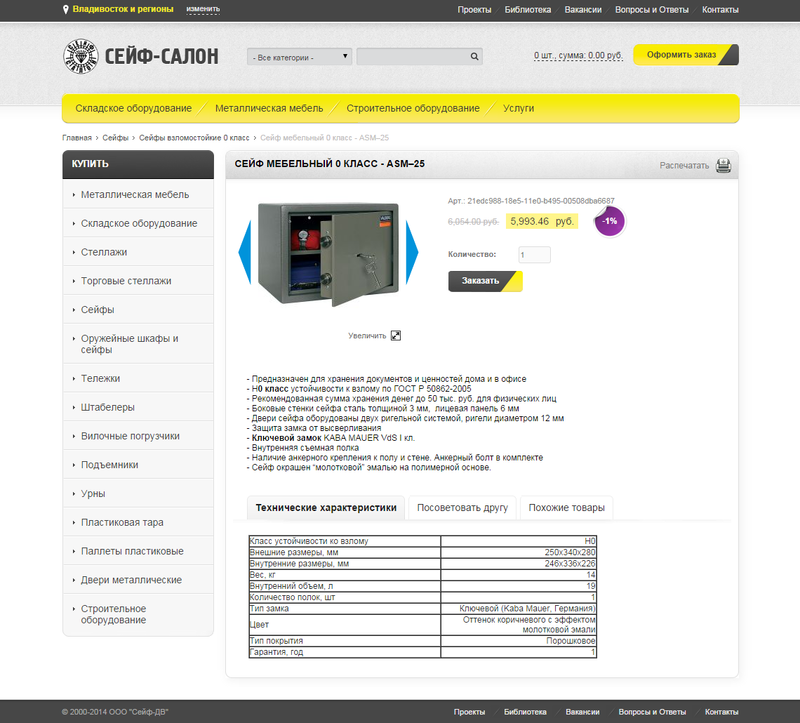 We supplied the products in the catalog with additional descriptions of the characteristics that help the customers compare and choose the products. 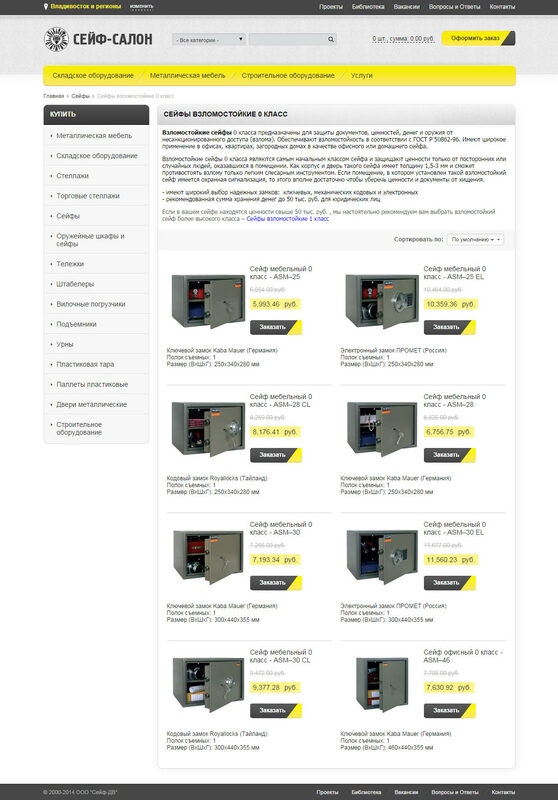 We added the ability to view all of the products of the category in one window to the product card. It is more convenient to compare the products now. 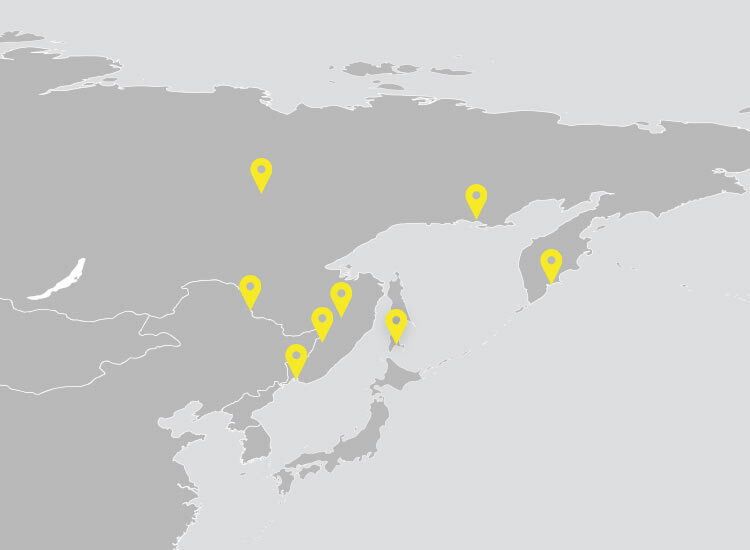 We set up geo-targeting. Now the store can automatically identify the location of the customer and offer the prices available for their city and region.